We pride ourselves in completing your repair as fast as possible. In many cases, we can even pre-order your parts and have you drop off the car when all of the required parts are at our shop. If there are any delays, it is most likely caused by insurance claims, and we also work hard to expedite your claim as well. Yes, we are approved with all insurance companies and will work directly with them to process your claim and payments. Do you provide rental cars? We always recommend using factory parts. Regarding paint, we use Envirobase High Performance paint. 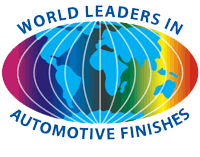 This is an environmentally friendly high performance automotive refinish coating. Not only is it a green product, but it provides superior color match quality. 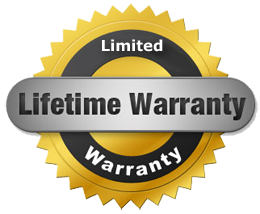 Yes, we offer a limited Lifetime Warranty on all work completed at our shop.